Hi guys, long time no chat! I am back and ready to tell you guys about some new products that have made the BIGGEST difference in my life. I have been trying to switch all of my products to organic and vegan products and try to incorporate a healthier way of living day by day. We are all so wrapped up in this extremely fast paced, chaotic world. I often find myself running to the nearest Chick-Fil-A drive through instead of cooking a healthy meal simply because of my lack of time. A few months ago I watched a TED Talk about time management and just to summarize it, the gist of the entire talk was not that we do have enough time for things in a day..we actually have plenty of time..for what we WANT to get done. We make time for what we want to get done the most every single day, and what we do not care for gets pushed off for the next, and the next, and the next day after that. Sometimes, trying to balance everything can become pretty hectic. My day usually consists of scrolling through social media, meeting with clients, and doing homework. It doesn't sound like much until you add those client requests which include web design, social media management, photography, and much, much more. 100 revisions later and I start to feel the pressure of my time slipping away for the day. Between multiple phone calls, texts, and emails, I need to figure out how to stay sane and provide clients with quality content no matter my stress level. Clean Remedies has been a life changer for me. Their CBD Oil not only helps with stress but also with anxiety. CBD is simply an active chemical compound, or cannabinoid, that’s found in the cannabis plant. The reason it’s becoming so popular across such a wide audience of people right now though is because unlike the other main compound in cannabis (THC), it doesn’t get you high and is federally legal in all 50 states. The fact that CBD-rich cannabis is non-intoxicating or less psychoactive than THC-dominant strains makes it an appealing option for people looking for relief from inflammation, pain, anxiety, psychosis, seizures, spasms, and other conditions without feeling lethargic or dysphoric. There are two versions of Clean Remedies CBD. There is a 900 mg and a 3000 mg version. I use the 900 mg version and I take about a forth of a dropper at night. It calms me and helps me sleep after a long day. I also use it for nausea..I get extremely car sick and this is the ONLY thing that helps without putting me to sleep. Everyone is different and will need to use a different amount of it depending on what they are taking it for. Some may need to take half a dropper twice a day or even use the stronger version of it. You will know once you try it for yourself. 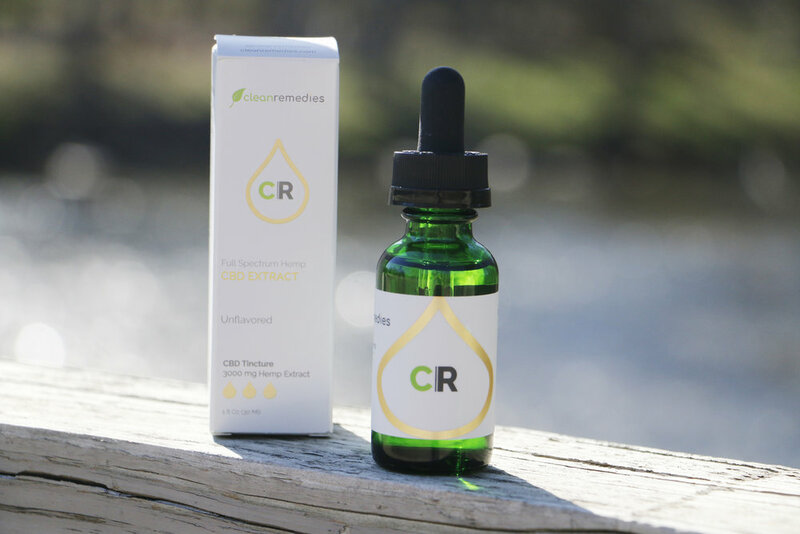 Clean Remedies CBD is organic, vegan, non-gmo and fully lab tested. It works with your body's endocanabinoid system to balance it and provide general homeostasis within. This system manages your appetite, mood, sleep, and many other functions of your body. When balanced, you will start the day off more calm and refreshed. They also have a pet line, and a line of bath salts for soaking after a long day on your feet. The pet line is incredible for anxiety, inflammation, or even helping with hip issues as they age. The bath salts are great for soaking in after a long day. They will help draw out toxins and replace minerals in your body. All of their products are incredible and more importantly it is a wholesome company with a wonderful staff. They are all extremely helpful and if you have any questions they are more than willing to assist. Visit cleanremedies.com if you are interested or have any questions!